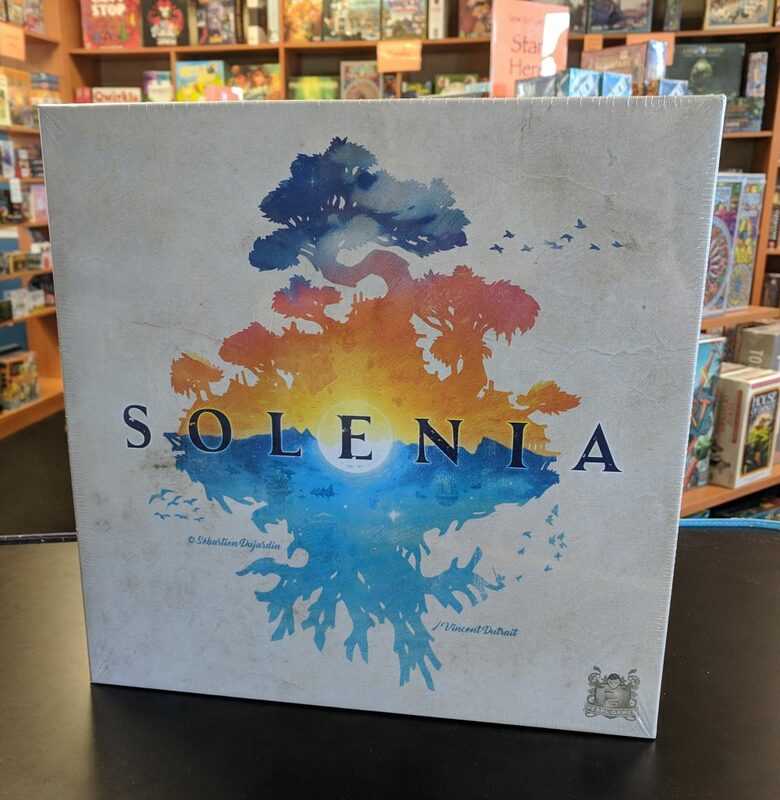 Several millennia ago, the tiny planet Solenia lost its day-and-night cycle: Its northern hemisphere is forever plunged into darkness, and its southern hemisphere is eternally bathed in sunlight. Your mission is to carry on your ancestors’ honorable task of traveling the world to deliver essential goods to the inhabitants of both hemispheres. While the Day people want you to deliver the rarest gems and stones, the Night people sorely need wood and wheat to survive. Be efficient and outpace your opponents to collect the most gold stars by the end of the game! 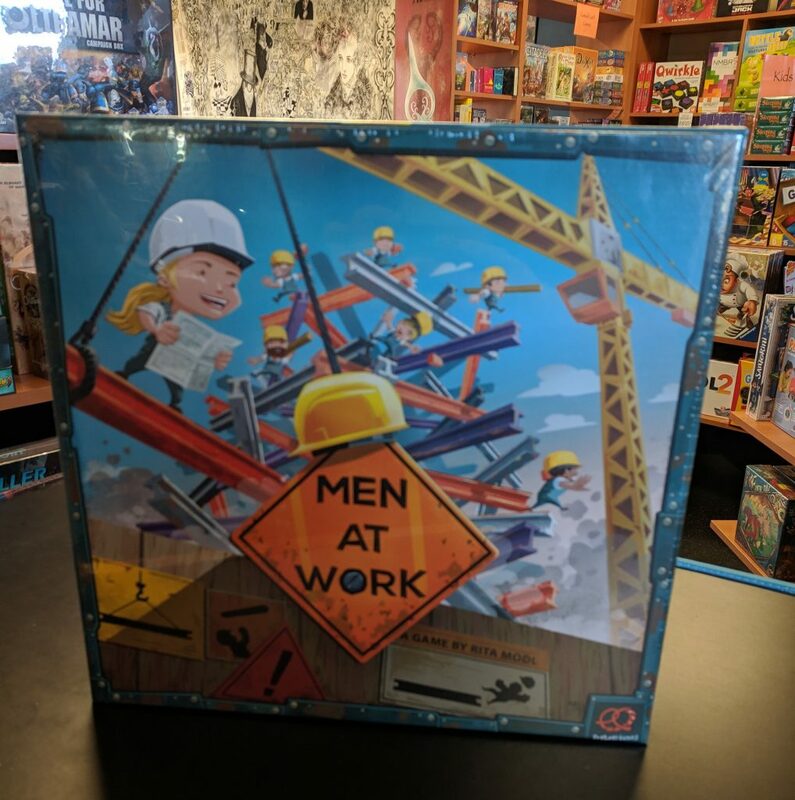 Men At Work is a stacking and balancing game in which players compete as workers on a job site who are carefully constructing a tower to avoid accidents and, maybe, earn Employee of the Month. 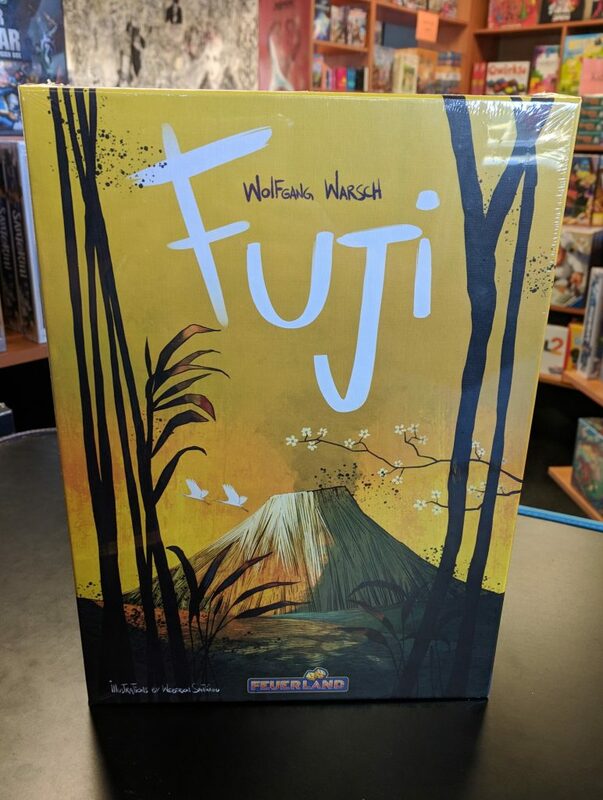 In Fuji, you play as a group of adventurers on their way to Japan’s most famous volcano, Mount Fuji. But just before you arrive at your destination, the earth begins to shake and the volcano erupts! Now your group must escape the deadly lava flows as quickly as possible to reach the safe village. 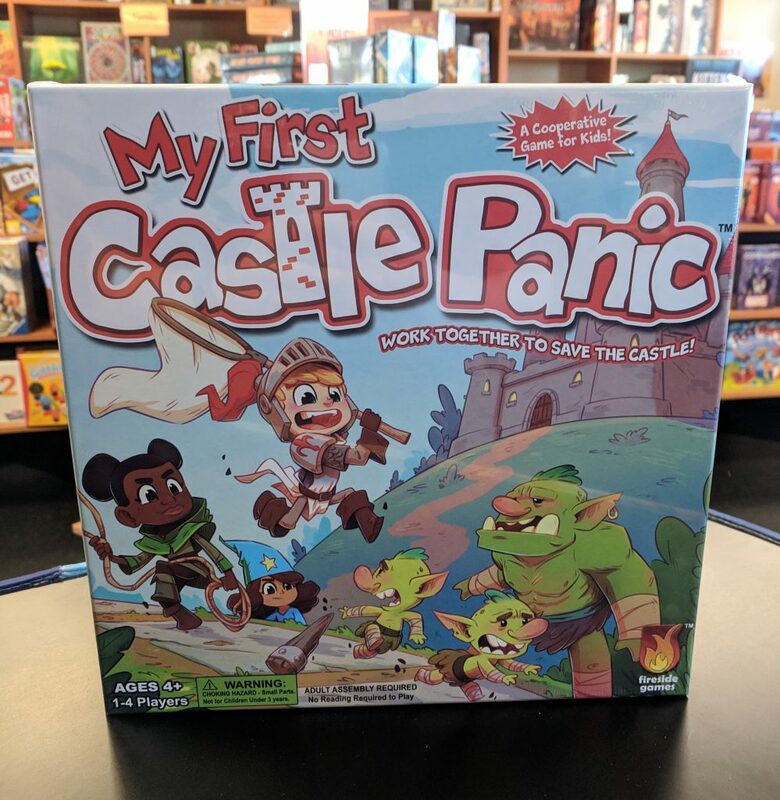 In this cooperative dice game, players simultaneously and secretly roll their dice behind their screens in each round. During the game, you must find the best way across a certain number of terrain cards to the safe village for each player. 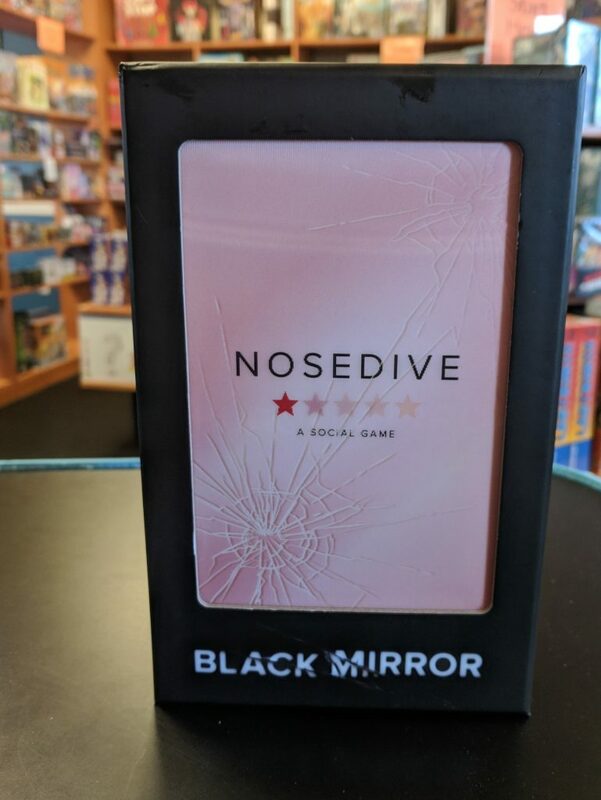 In Nosedive, players are challenged to create a “perfect” life by collecting lifestyle cards, while avoiding any “dings” to their social score. Integrated with the free Nosedive smartphone app available on iOS and Android, the game includes over one thousand unique experiences to impress players’ important friends and improve their social standing. 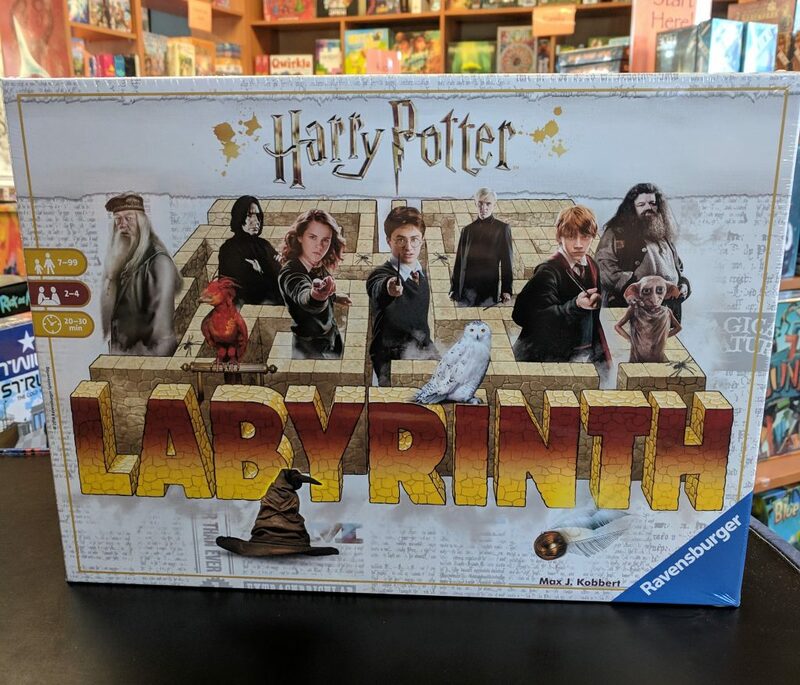 The classic Labyrinth game with a Harry Potter twist. The game board has a set of tiles fixed solidly onto it; the remaining tiles that make up the labyrinth slide in and out of the rows created by the tiles that are locked in place. 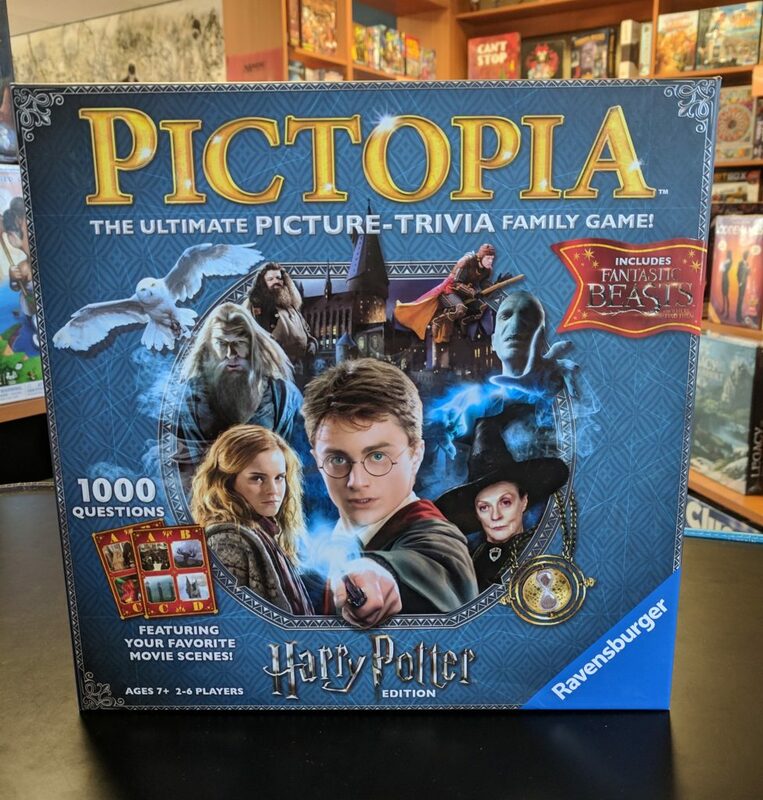 Pictopia: Harry Potter Edition is a game of teamwork with a competitive twist! Sometimes you work together and other times answer alone, but you wager your points every time! How much you wager depends on how well you know the pictures on the card before you hear the question! Along the way are guess-my-answer questions that reveal how much you know about the other players. 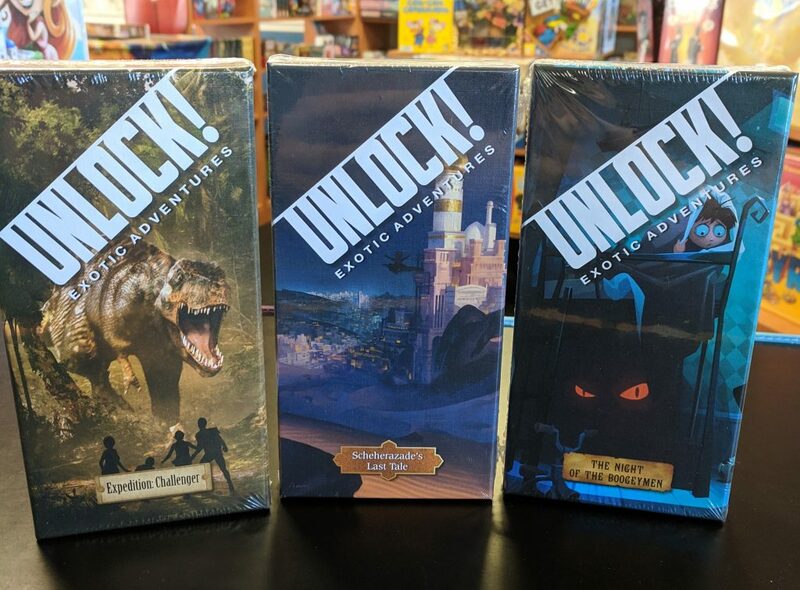 We have three new Unlock! games in! In, Expedition: Challenger you explore a valley full of dinosaurs and save the members of Professor Challenger’s latest expedition. Difficulty level 3. Scheherazade’s Last Tale, is the ultimate tale of the Arabian Nights. The sultan wants to sentence Scheherazade to death, fly to her rescue! Difficulty level 2. And finally, The Night of the Boogeymen. The Boodeymen have invaded William’s dreams! Unite your forces to chase them and soothe the little boy, difficulty level 1. 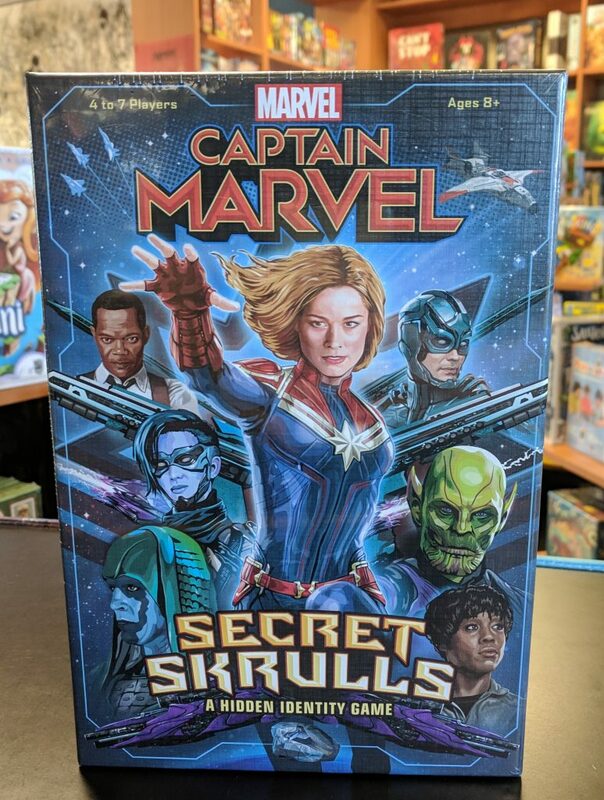 Captain Marvel: Secret Skrulls is a hidden identity game in which players take on the roles of their favorite characters, including Captain Marvel herself, to defend Earth in an intergalactic war against shape-shifting Skrulls in disguise. 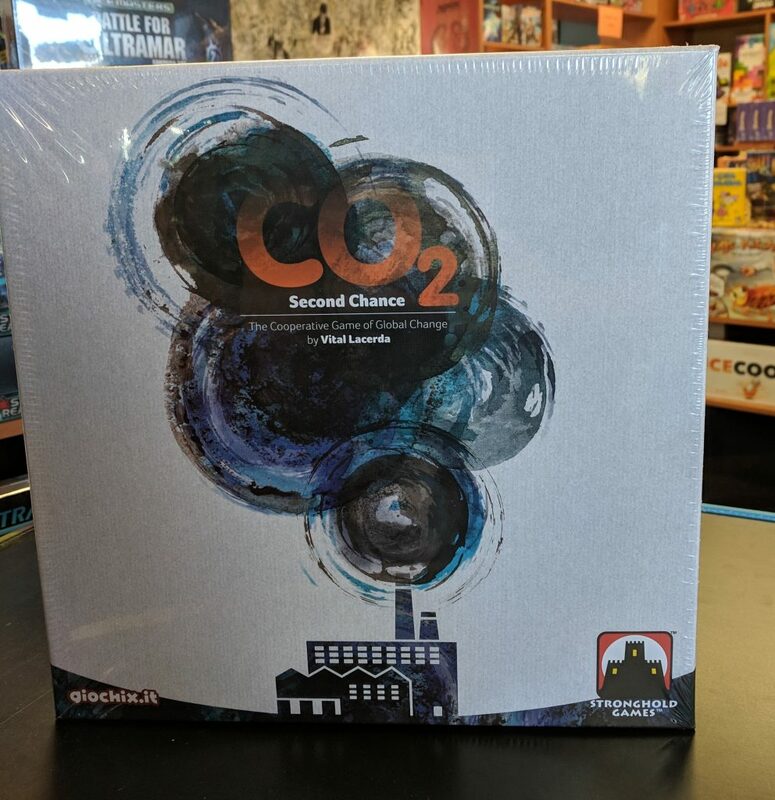 Players must decide whom to trust, defend their alliance, and restore the planet’s virtue. 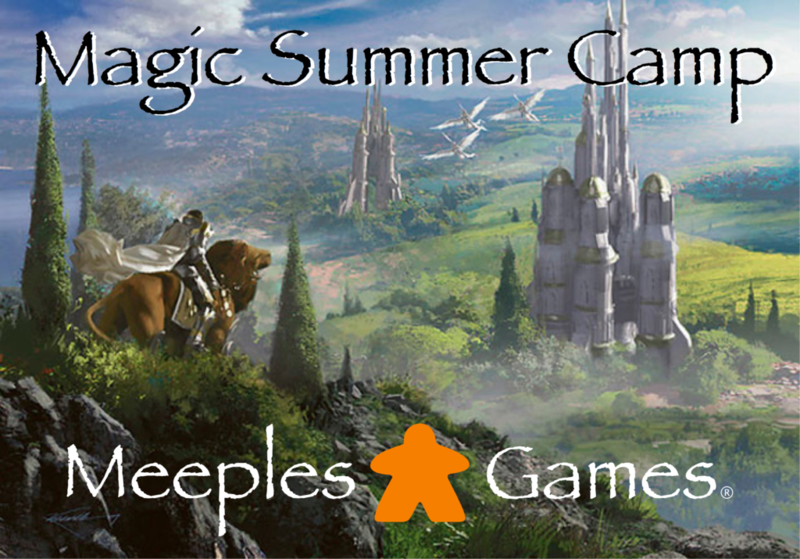 Magic: the Gathering Summer Camp! Calling all Spellslingers! Join our Spell Master for a full week of Magic: the Gathering fun! Space limited to 12 per session, so register early! All materials provided – over $75 of Magic product for each participant! 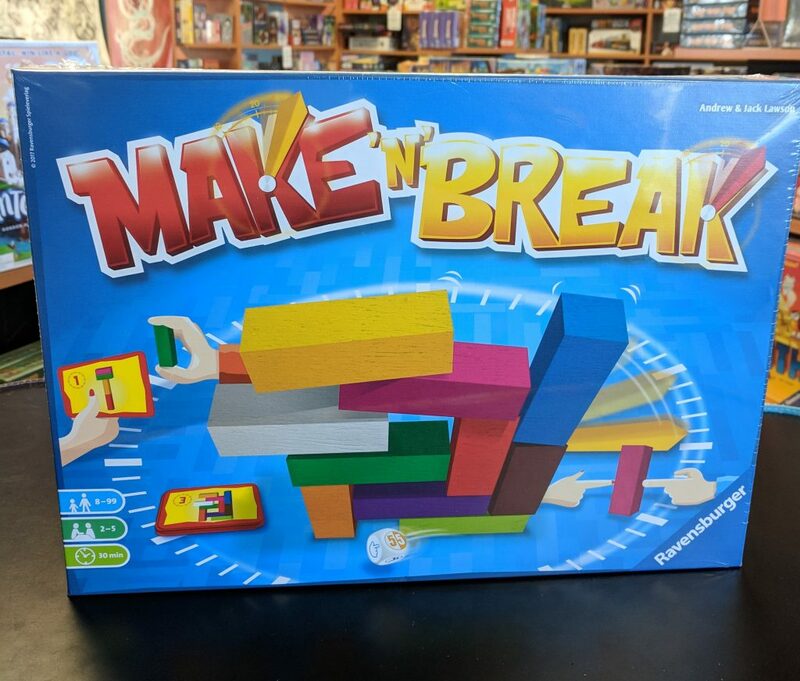 **Participants may bring their own Magic decks for open dueling or cards for trading, but Meeples Games is not responsible for their decks or cards. 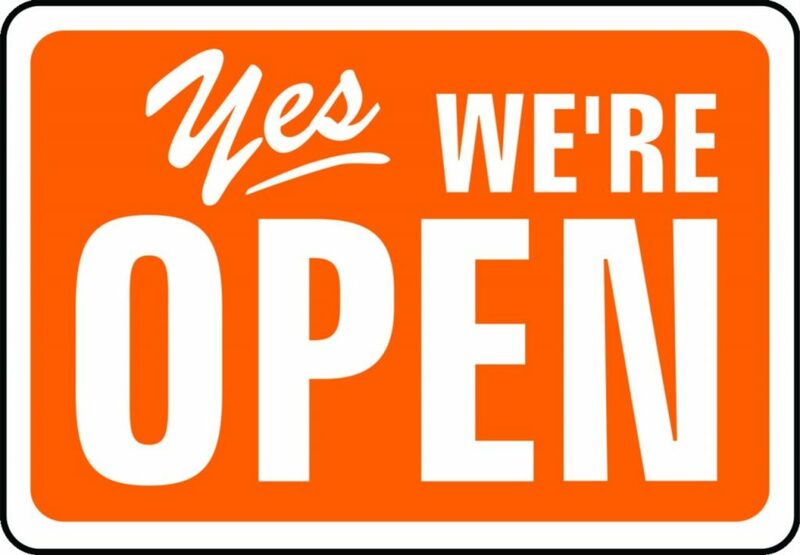 We will do our best to make sure everyone keeps track of their things. Calling all Adventurers! 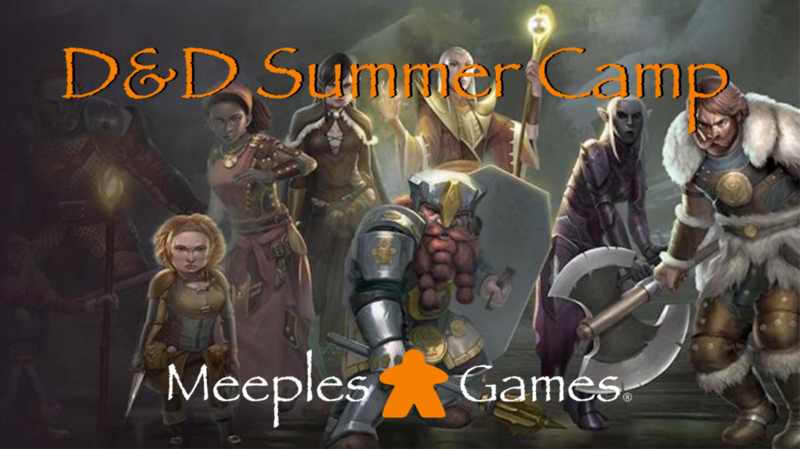 Join Dungeon Master Boyce for a full week of D&D fun! Space limited to 8 per session, so register early! 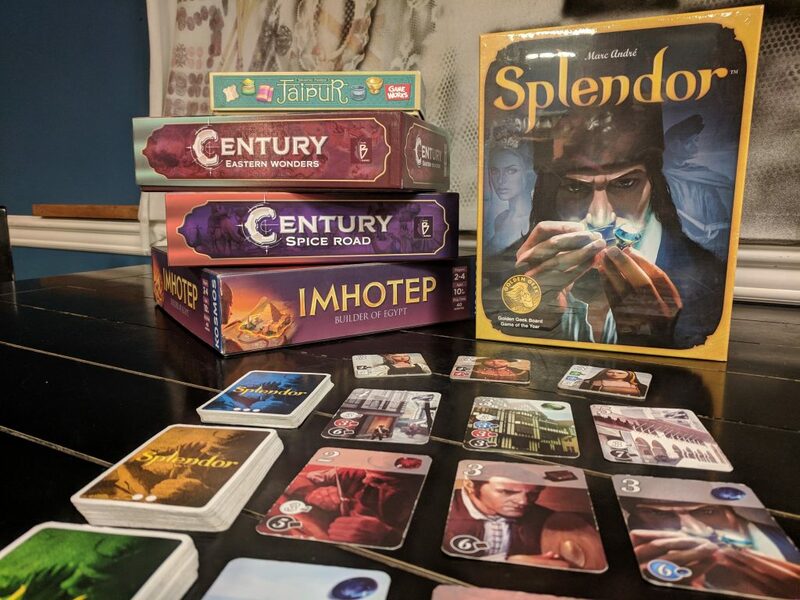 Splendor is a game of gem collecting and card development. Each player takes turns collecting gems to purchase cards and earn prestige points. 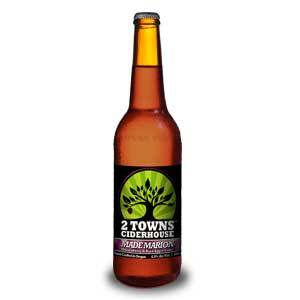 If you’re lucky, you might just get a visit from one of the nobles. If you find yourself loving Splendor, but want an new challenge, we have compiled a list just for you. 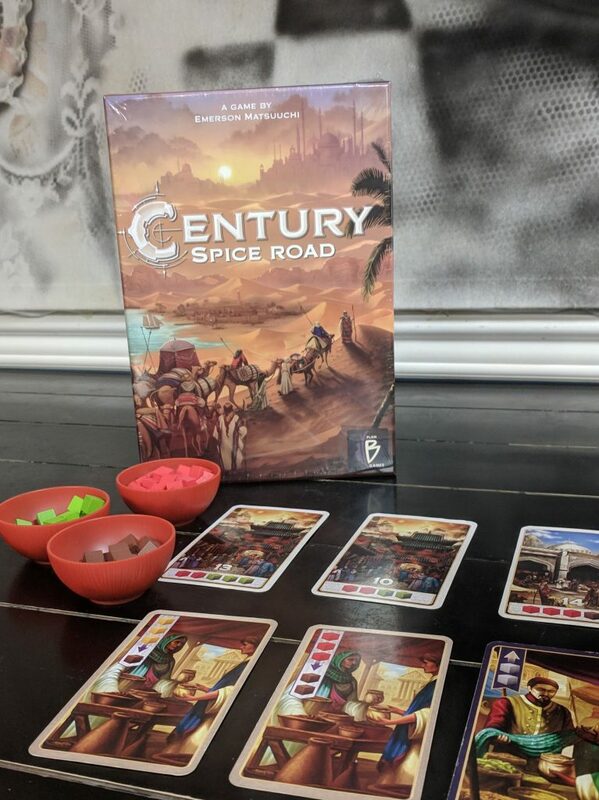 Century Spice Road is a game where players are caravan leaders who travel the famed silk road to deliver spices to the far reaches of the continent for fame and glory. 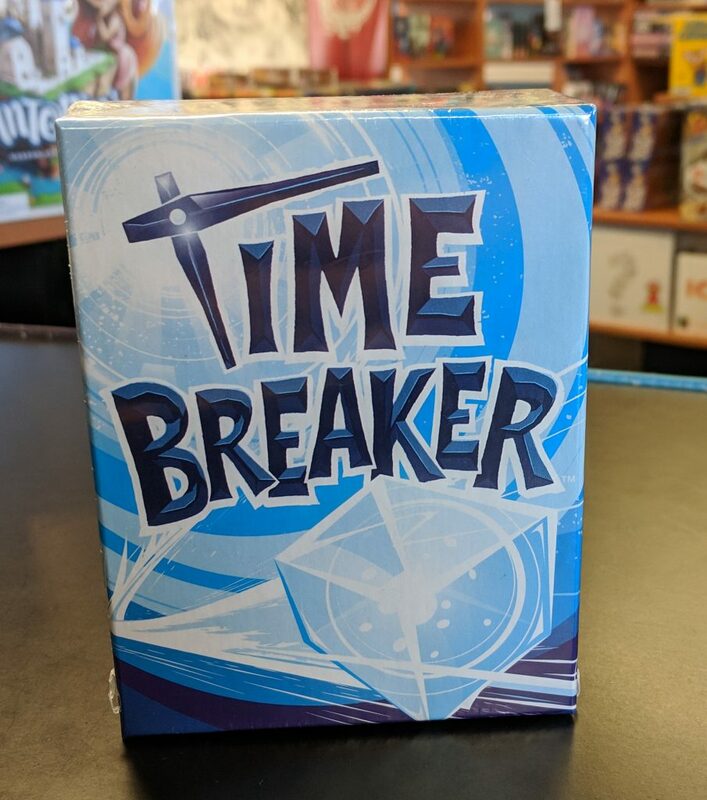 On your turn, players perform one of four actions: establish a trade route by taking a market card, make a trade by playing a card from your hand, fulfill a demand by meeting a victory point card’s requirements, or rest by taking cards you’ve played back into your hand. 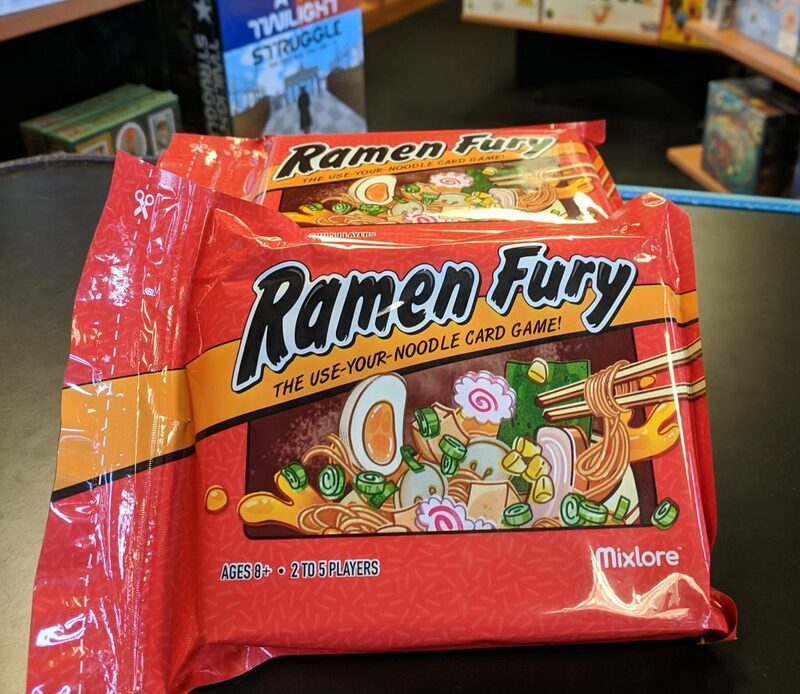 Along with Century Spice Road, Century Eastern Wonders is can also be added to this list of games. Century Eastern Wonders can be played as an expansion to Spice Road as well as a stand alone. In Century Eastern Wonders, players take to the seas to find quicker routes for their spice trades. Do you have what it takes to be the most famous spice trader in the land? 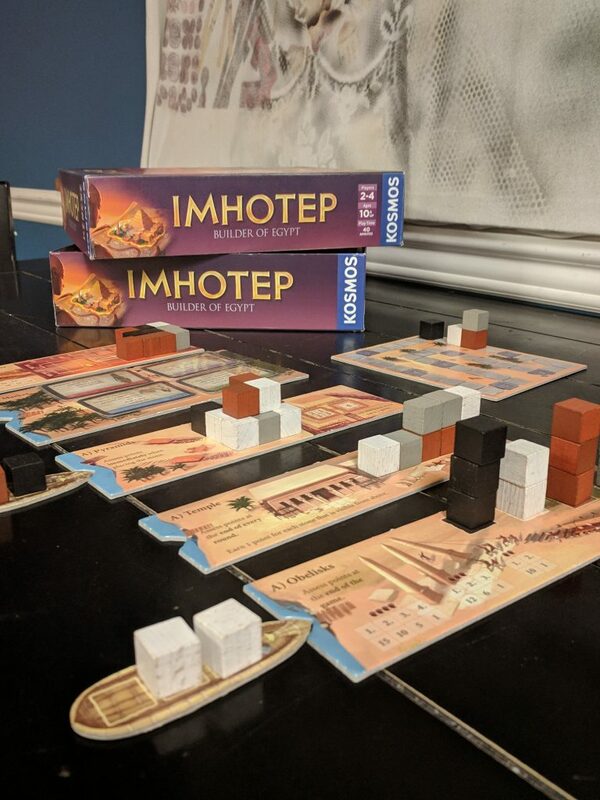 Over six rounds, players in Imhotep move wooden stones by boat to create five seminal Egyptian monuments, and on a turn, a player chooses one of four actions: Procure new stones, load stones on a boat, bring a boat to a monument, or play an action card. While this sounds easy, naturally the other players constantly thwart your building plans by carrying out plans of their own. Only those with the best timing — and the stones to back up their plans — will prove to be Egypt’s best builder. Jaipur is the capital city of Rajasthan. You are one of the two most powerful traders in the city. 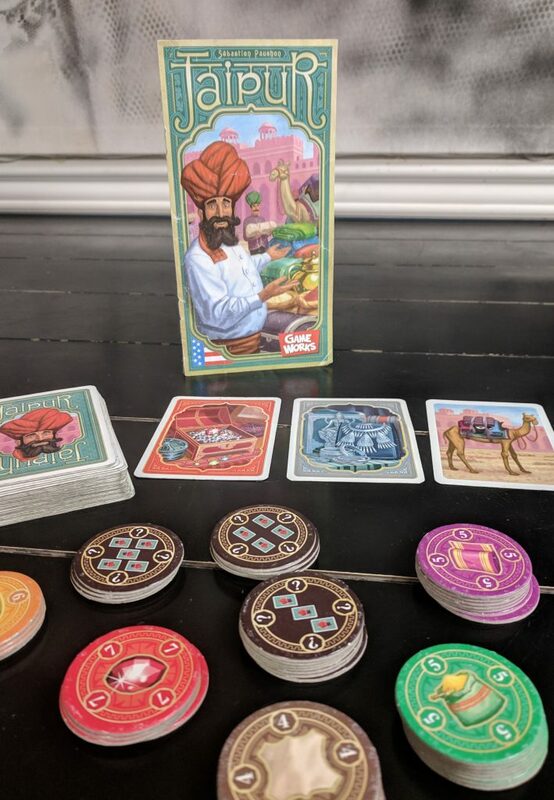 Jaipur is a set collecting game, where players try to collect the most textiles in order to gain victory points. But watch out for those pesky camels, because the player with the largest camel herd also gets victory points! Jaipur is played in three quick rounds, the winner of two out of the three rounds is the most powerful trading city!